Although I followed Sunoco’s advice (after leaving reviews), app still fails to scan rewards card # and won’t recognize manually entering the number so, although I was willing to change my review, app still gets a one star. I tried to add my AdvantEdge rewards card to my profile using app camera and manually entering card numbers. Both give a error message, “invalid”. Had hoped to contact app developer to assist but get another error message, can’t find server. Apparently Sunoco would prefer a one star rather then offer a fix. I had hoped to use the app but if I still have to carry a rewards card then what’s the point? No support and inability to add a rewards card. Read reviews and you will see others have had the same issues with the rewards card so there is a pattern. Good news! 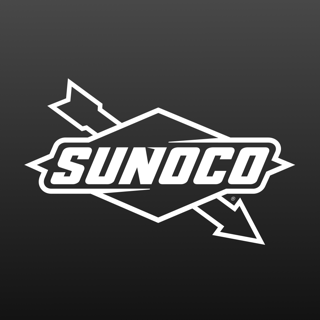 We have enabled the app with new functionality to accept the Sunoco Rewards credit card. Please make sure you have the latest version and you should be able to add your card today. If you have any issue, please reach out to us at customerfirst@sunoco.com. We also ask that you please consider revising your app rating given this new functionality. Thanks for using the Sunoco mobile app! I drive for Uber and this app makes it really fast and easy to get gas. I also really like that I can get my receipts in the app (or have them emailed to me) so I can track my fuel spend for the year. It’s also really nice to NOT have to swipe my credit card at a bunch of random gas stations or worry about my card being flagged/deactivated for using it too much at gas stores. It's cool that I can also see what sales the locations are offering so I can save on a quick drink or snack! While I had no trouble using the app (it was actually very simple and responsive), I did not receive the usual 5 cents off per gallon that I get when I use my Sunoco rewards credit card. Instead, I was charged the credit price, which is 10 cents more than the cash price. I don't know if it's supposed to work that way (is it the cost of convenience?) or should I be getting the discounted price since I used my Sunoco card? It ended up costing me 15 cents MORE per gallon than if I had manually swiped my car at the pump. If that's how it works, I certainly won't be using the app anymore. Hello, we're sorry you had this experience and did not receive the 5 cents/gallon discount with the Sunoco Rewards Card. We have found some instances of this issue and do credit customers on their account for the discount they should have received. If you have any issue, please contact our customer service team at customerfirst@sunoco.com or 1-800-786-6261. You can also submit a service request right in the app in the Help menu by selecting "Contact Sunoco". Thanks for using the Sunoco app!